As a member of the yoga community for many years now, I've heard a wide variety of claims about yoga and breathing. Some of these claims make a lot of sense, but others are confusing to me, and seem potentially dubious based on my understanding of human physiology. 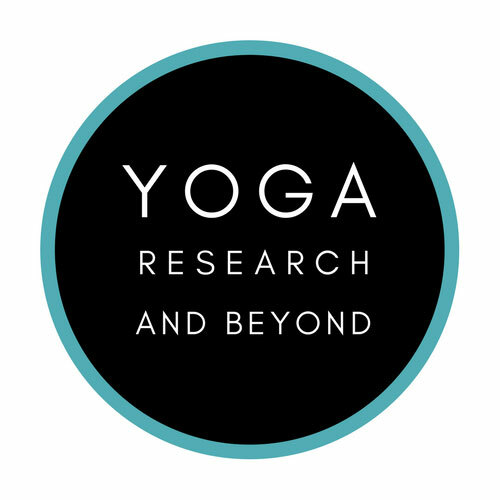 I have managed to accumulate several questions in my mind regarding beliefs about yoga and breathing, and I recently decided that it was time for me to consult an actual expert to offer some answers to my burning questions. Because encouraging my fellow yoga teachers to become more evidence-based in their teaching is an important focus of my work, I naturally decided to share this valuable and informative Q&A session with my entire yoga community, so that we can all benefit! I asked Rich a total of 8 questions, and today I'll share the first 3 of them with you. Next week we'll look at questions 4-8, which are equally informative and fascinating as the ones you'll read today. I hope that you enjoy, and don't hesitate to share your comments and thoughts below! QUESTION 1: A typical yoga practice is a relatively low-load activity compared to activities such as weightlifting with heavy weights at the gym. At the gym, weightlifters use specific breathing strategies during their lifts to coordinate and control their IAP (intra-abdominal pressure) for core stability reasons. Given that yoga is a low-load activity, is core stability something that yoga practitioners should be concerned with, and if so, is there a conscious breathing strategy they should employ to ensure optimal core stability? ANSWER: This is a great question. When lifting heavy loads such as a dead lift or squat close to 1RM (1 rep max) it is absolutely beneficial to use specific breathing techniques to help improve core stability. These are typically accomplished by drawing in a large volume of air into the lungs. Once the lungs are full intrathoracic pressure increases. This also causes compression of the abdominal contents. This stiffens the spine which in theory can help increase force output since the core is more “stable”. You can see this technique used often across powerlifting and strongman competitions. You can even practice this yourself by taking a deep breath in and holding, notice how rigid your thoracic spine and abdomen becomes. I actually think this is why some individuals reflexively use the Valsalva maneuver when they are struggling trying to lift something heavy or themselves. In regards to low load or low intensity movement like yoga, I don’t think it’s necessary or at least not for the purposes of core stability. Your body will reflexively and synergistically co-contract your core muscles prior to any movement. Focusing on breathing might be a nice way to get people to immerse themselves in the practice of yoga or whatever movement they are going through. Focusing on breathing may also help reduce anxiety and calm the mind; which as an amateur/retired Yogi myself can be useful especially when you’re trying a movement for the first time. QUESTION 2: Belly breathing, in which one consciously displaces their abdominal contents during breathing so that the belly expands with their inhales, is often called “diaphragmatic breathing” in the yoga & movement world. Is this an accurate and helpful term for this type of breath? Why or why not? ANSWER: I get a lot of flack for saying this but I honestly think diaphragmatic breathing is a bit of a misnomer. Your diaphragm is always active when you’re breathing, unless you're on controlled mechanical ventilation. Now we can certainly voluntarily accentuate the displacement of different compartments (abdomen vs chest) when we breathe. However doing so doesn’t mean that we are turning the diaphragm “on”. We’re always using the diaphragm, it provides 75% of the inspiratory effort. It’s always “on” and since it provides the majority of the inspiratory effort, all of our breaths are really “diaphragmatic” even when it might not appear that way when we visualize someone breathing. This ratio does change during exercise and in certain disease conditions but outside of those conditions this principle generally holds true. I tend to use the word belly breathing or deep slow breathing instead. I feel that patients understand those terms better and they accomplish the same goal without making things more complex and potentially inaccurate. QUESTION 3: There are certain yoga breathing techniques that are claimed to strengthen the diaphragm. These include sustained breath retentions after the inhale and/or exhale (called “kumbhaka” in yoga) and also a diaphragm “pumping” style of breath called “kapalabhati”. Do techniques like these strengthen the diaphragm, and is there a physiological benefit for healthy people to work on strengthening their diaphragms (increasing this muscle’s ability to generate force) in the first place? ANSWER: The diaphragm like other skeletal muscles responds to load. To strengthen it you have to place it under load and work it close to fatigue. This can be accomplished by breathing against a resistance, we call this inspiratory muscle training. This involves breathing through a device that has a valve which only opens once a predetermined negative pressure is generated from the patient breathing in. This is very useful for patients with inspiratory muscle weakness, such as patients with COPD, heart failure, morbid obesity as well as various neurological conditions such as Parkinson’s disease, spinal cord injury, and ALS. We determine the presence of weakness by measuring the maximal pressure a patient can generate from a breath in and comparing it to normative data. We’re finding that determining weakness is very useful because the patients that tend to benefit from inspiratory muscle training the most are those with weakness. Most healthy individuals or even individuals with disease and without inspiratory muscle weakness will probably only receive marginal and clinically insignificant benefits from this type of training. The rapid breathing techniques you describe might result in marginal improvements in strength. I would liken them to performing a lift, like a biceps curl without resistance but doing so very quickly. In someone who has weakness, training this way might promote some minor increases in strength. However, for most healthy individuals it's probably not going to improve strength because there isn’t a sufficient load or training stimulus to make adaptations. It’s also important to note that regular/conventional exercise training will also result in improvements to inspiratory muscle strength. Thank you again to Rich for his time and expertise in this Q&A. I really appreciated the clear and accessible manner in which he responded to my questions, and I hope that yoga teachers and students everywhere will find this information very helpful! Rich Severin PT, DPT, PhD(c), CCS is a physical therapist and board certified cardiovascular and pulmonary clinical specialist. Currently he serves on faculty as a Clinical Assistant Professor at Baylor University in the Hybrid Doctor of Physical Therapy program and The University of Illinois at Chicago (UIC) Department of Physical Therapy as a Visiting Clinical Instructor. At UIC he also serves as the program coordinator for the Bariatric surgery rehabilitation program and is working on a PhD in rehabilitation science with a focus on cardio-respiratory physiology and obesity. He earned his Doctor of Physical Therapy Degree from the University of Miami. 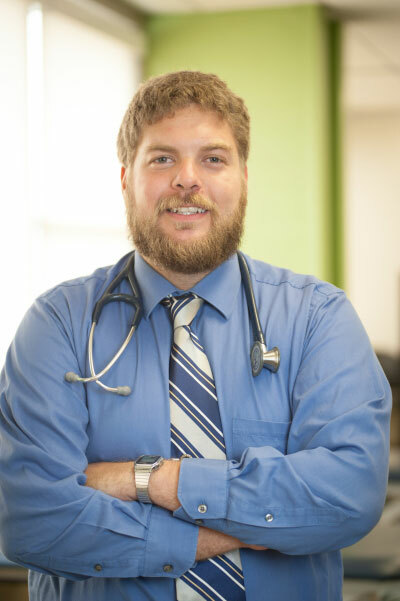 He completed a cardiopulmonary residency at the William S Middleton VA Medical Center/University of Wisconsin-Madison and an orthopedic residency with a focus on clinical research at the UIC. He has made scholarly contributions and presented both nationally and internationally on topics relating to cardio-respiratory physiology and clinical practice. He is an active member of the America Physical Therapy Association (APTA), The American Physiological Society and several other professional and scientific societies. He serves on the board of directors for Cardiopulmonary Section of the APTA as the chair of the communications committee and as a member of the nominating committee. Dr. Severin is also a member of the APTA Cardiopulmonary Section Heart Failure Clinical Practice Guideline development team, the Specialization Academy of Content Experts, and the editorial board for Cardiopulmonary Physical Therapy Journal. Follow him on twitter @PTReviewer.